There are many misconceptions about the intelligence of small animals, but perhaps the greatest one is the belief that fish are living automatons, endlessly swimming circles without rhyme or reason. 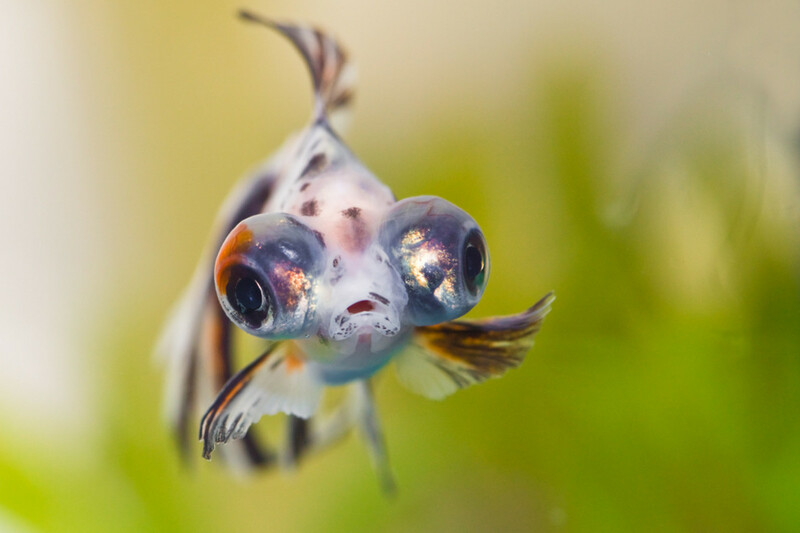 Scientists and animal behaviorists have proved that fish possess more cognitive capabilities than is commonly believed, yet this information hasn't caught on yet with the public, as the media has supported the false impressions about these animals for years. Dory, the character in Finding Nemo who deals with short-term memory loss, is an example of a common myth about fish that suggests they only have a three-second memory. So how do you measure one's intelligence? What skills must an animal show to prove it's mental capacity? There are a great deal of complex behaviors fish show, but in this hub, we're going to focus on problem solving, memory, and learning, as well as describing some complex behaviors these animals exhibit. These cognitive abilities can overlap one another- for example, to learn, one must be able to remember one's experiences, and what they learned from it. To solve problems, an animal has to learn how to use a tool as well as remember how to use it. Cleaner wrasses have complex relationships with the animals in their environment. Cleaner wrasses can distinguish between fish that can not get their cleaning 'service' from another wrasse and those that can move from station to station. The fish that can get cleaned by another animal are shown to have received better service than the former, as the cleaner wrasses want to have as many clients as possible! In humans and animals, finding solutions to problems requires a fairly highly cognitive ability. One good example of problem-solving is tool use. Animals must be aware of the objects around them, and know what must be done to solve the problem. Then, they must make the connection between the tool, and know how those objects can help them solve their problem. Fish are remarkably intelligent, and are able solve problems they face using tools or memory or other things. For example, Dr. Pasko from the Unviersity of Wroclaw observed a fish that used sharp rocks as an anvil to break apart pellets they were fed that were too big for them to swallow. 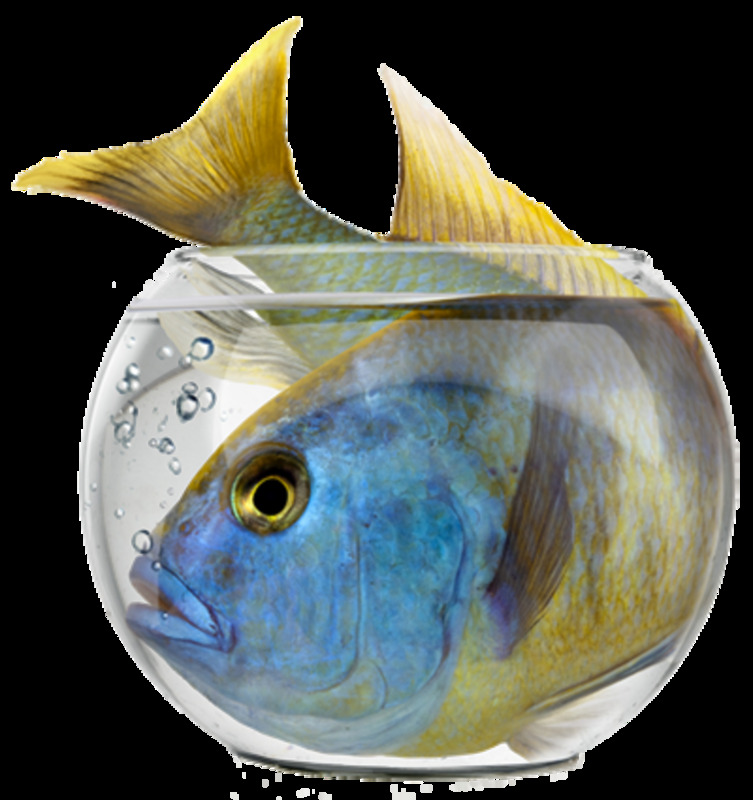 Another example of fish using problem-solving skills involves an experiment performed by scientists at the University of Cambridge. Fish were trained to leave their shelter, situated in the middle of the tank, to hunt for food that was placed at either the right or left side of the tank. Once the fish learned to expect where the food went, they paired two fish together- one that scavenged at the right side of their tank, one from another tank that ate from the left. They both wanted to go in opposite directions to scavenge, but didn't want to leave alone, as they would be more vulnerable. So they found a solution to their problem- they waited. 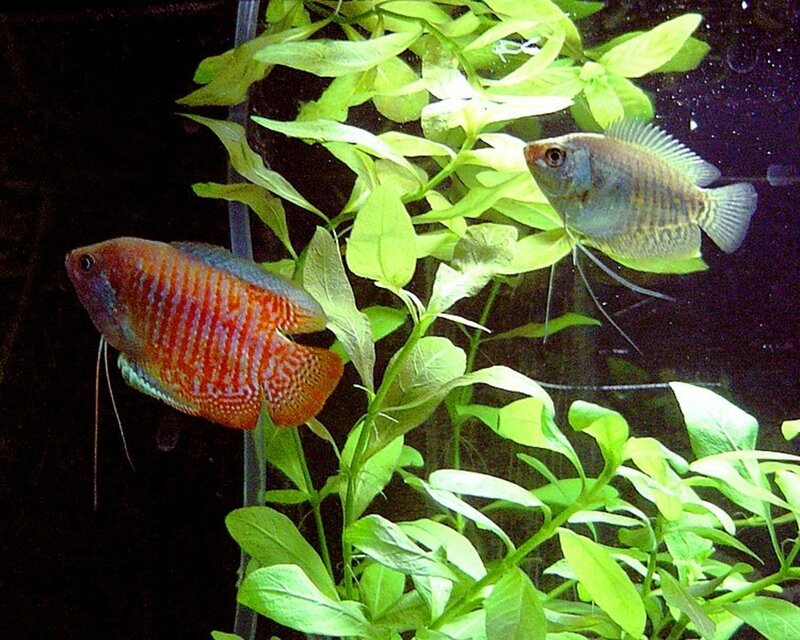 One would follow the other fish to their favored side of the tank while they looked for food, even if there was none. Then, the other fish would follow the one to the opposite side so they'd look for food. This is quite an advanced behavior one would expect from an animal that apparently has a three-second memory! One of the most widely-held myths about fish intelligence involves their memory. Many people think that they possess an extreme short-term memory disability, but this would be counter-productive to their survival. Fish have been on earth longer than we have, and during those millions of years, they have been evolving, and developing more and more, and becoming increasingly intelligent. They have, as Dr. Culum Brown of Macquarie University states, a memory that matches or exceeds those of nonhuman primates. 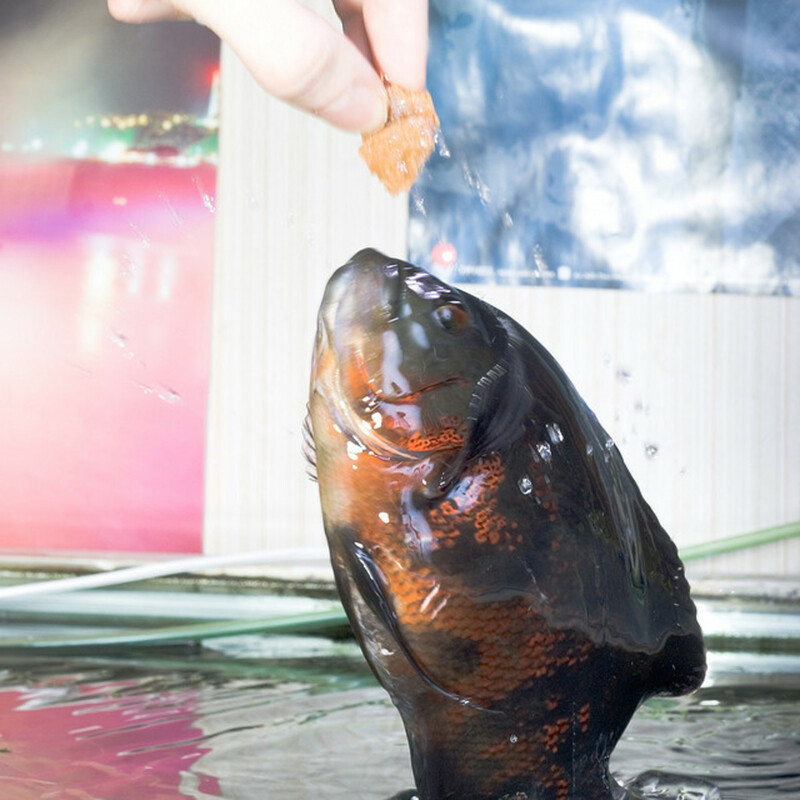 Carp that were caught by fisherman were observed to have avoid hooks for at least a year! Fish can learn new things through experience and observing other animals. They have to learn many things in the wild in order to survive, such as predatory fish. When they first start out trying to catch an animal, it may take quite a bit of time to learn how to overcome the prey's defenses to eat them. For example, a young predator might spend a while figuring out how to eat an aquatic snail. After experience, however, they may learn to crush the shell with their jaws to reach the nutritious meat in a quick and efficient manner. An experiment was performed by Dr. Brown, in which fish were placed in mazes where different symbols marked different pathways. The correct symbols would lead the animals to food. After learning their way around, the fish learned to only use the correct symbol to find food. 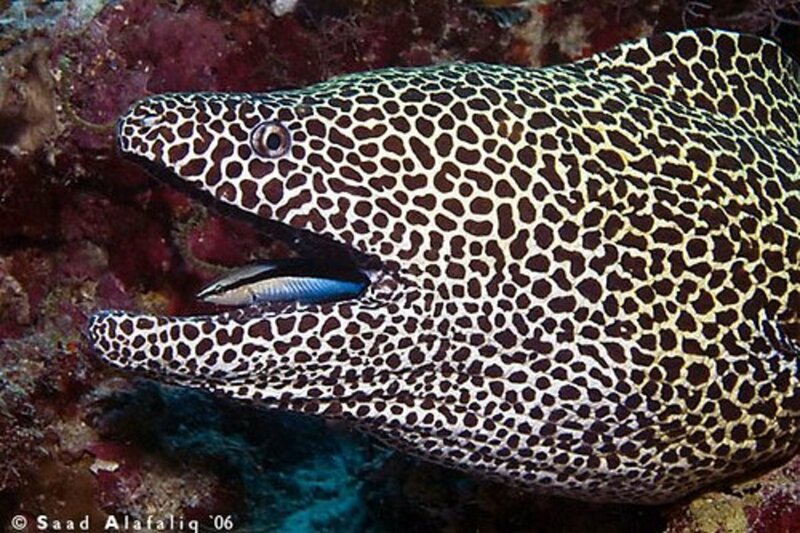 Generally, the smarter fish tend to be the animals that grow larger and live longer. This is because they have more time to learn new things through experience, and therefore do not rely on instinct as heavily, and have to be adaptable. Small, schooling fish may not show much character as their method of survival in the wild is to not stand out, and to blend in with the crowd. However, even they can demonstrate complex behavior- for example, some schooling fish risk their lives to assess the level of risk a nearby predator poses, and in return can impress watching female fish! 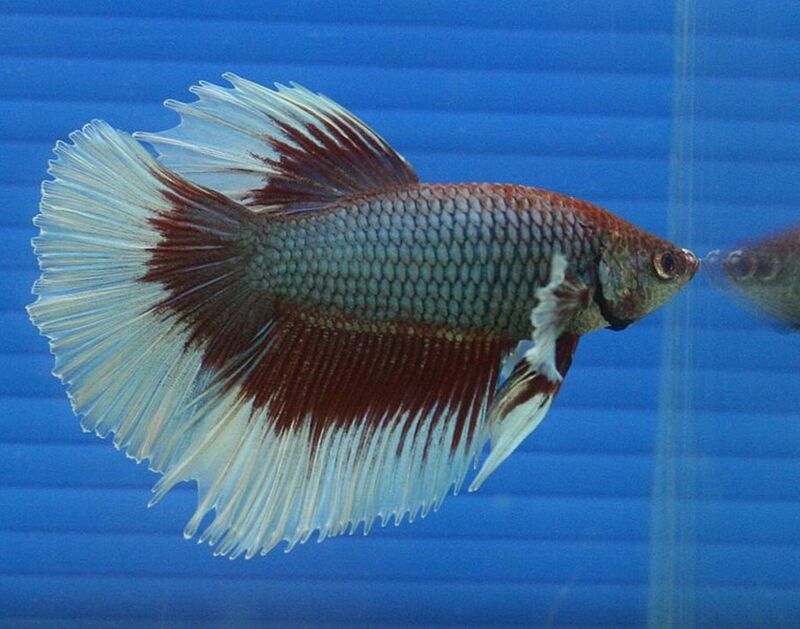 Reportedly, oscar fish are said to be one of the most intelligent fish in the aquarium hobby. 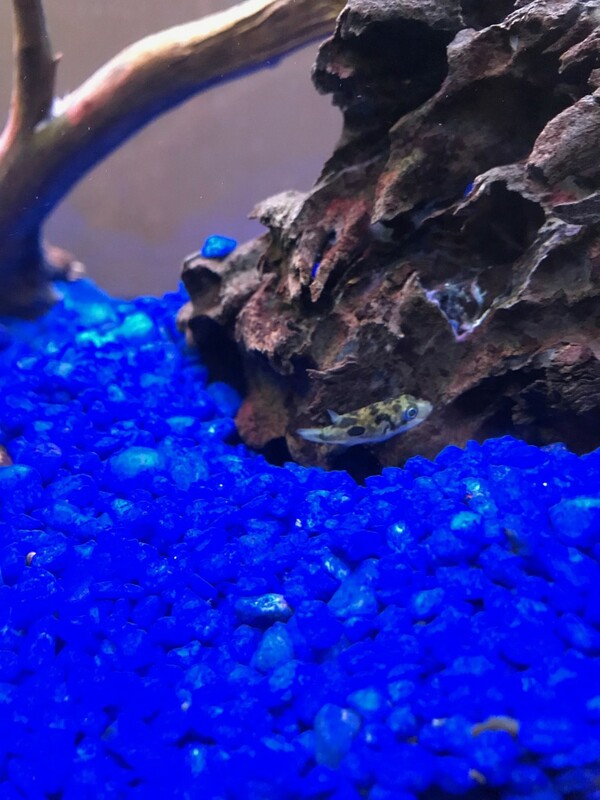 They have been said to display many intelligent behaviors, including excitedly swimming close to the glass when the owner walks up to feed them, redecorating their aquarium accessories to their taste (including pushing around items they don't like), and even being able to distinguish between different people! 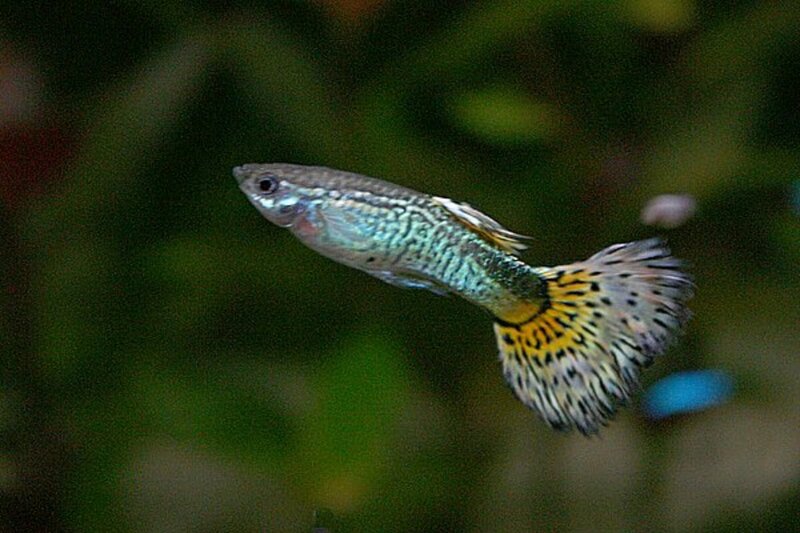 Fish can be trained to perform tricks for food. This oscar fish has been taught to jump for a fish flake! 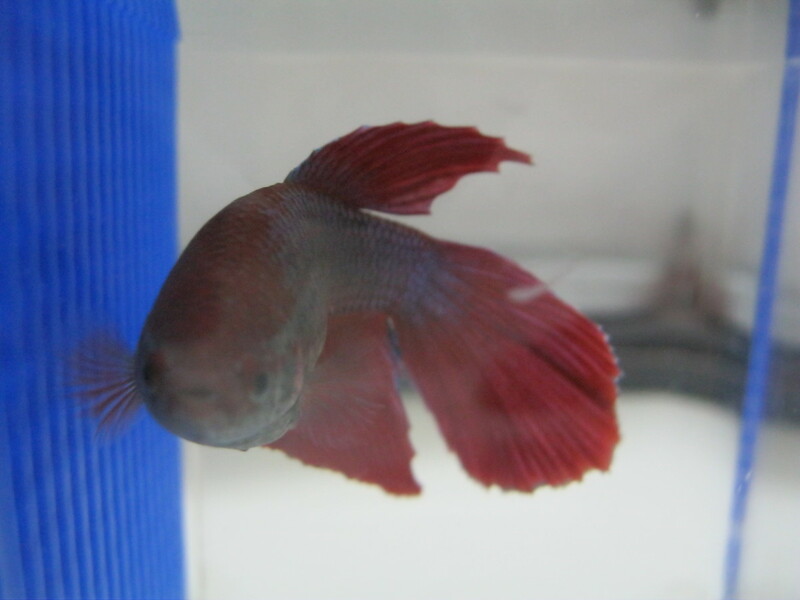 Many people don't take proper care of their fish, and excuse their actions because they believe fish don't really have any awareness or intelligence. However, now that scientists have proved that fish are smarter than was commonly believed, there is no reason that people should still be finning sharks, or keeping goldfish in bowls, or tattooing glassfish with lasers. Fish possess a surprising cognitive ability, and deserve to be treated with respect and compassion. Thank you for your article and especially for your appreciation of fishes. They truly are far more admirable than most people realize. Most importantly, they are sentient, able to suffer fear and pain. As you noted, they deserve our respect and compassion. A great book that explains how amazing these animals are is What a Fish Knows. An organization that promotes respect and compassion for fishes is Fish Feel. Thanks again for helping to make people aware of the abilities of these wonderful beings. Thanks for the information. I was not knowing that the fish are so intelligent. Wow that video of the fish that plays soccer is just amazing! I put awesome and voted up, great hub! This is very interesting information. I believe fish are smart. I also have noticed they can exercise hope. There is a stone bridge I used to walk over in a park. Hundreds of fish would come swimming when I or someone who usually had something to feed them -- would come along. They didn't get all in a frenzy for strangers, just the regular people who would come to feed them good stuff. I love the bubble eye. Nice article. Thank you, Lady Luv! Yes, predatory animals tend to be more intelligent, as generally they live longer, grow larger, and need more intelligence to learn to hunt their prey efficiently. In addition, they tend to produce fewer babies and be better parents. All in all, carnivorous animals require more mental capacity in general, yet this is not to say that herbivorous animals cannot be intelligent. Excellent hub! Also to note: Predatory fish are smarter than herbivorous fish, just as in mammals. I enjoyed the read. Keep it up! I had no idea that fish were so intelligent... how cool!! Great Hub! I've always thought fish were smart. I've noticed fish will remember different patterns. 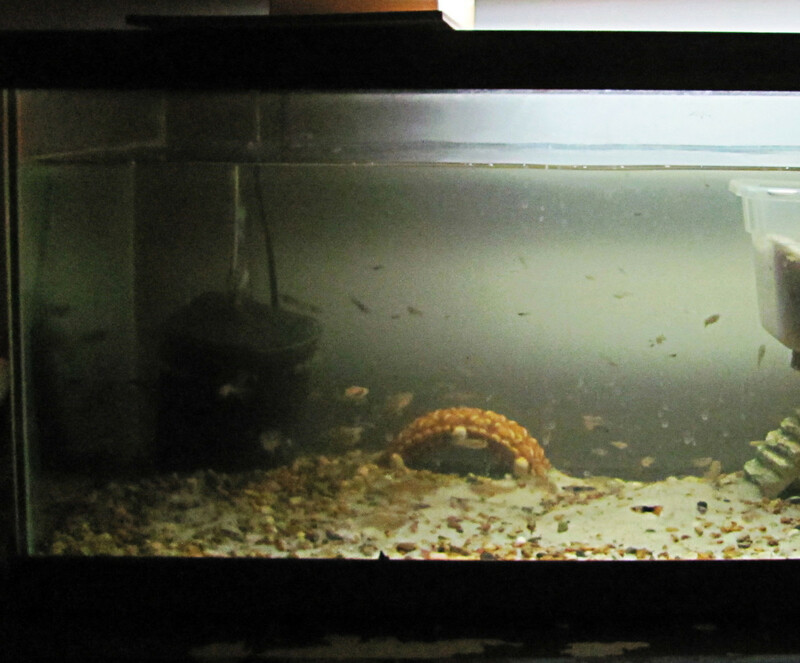 If you feed fish around the same time each night and turn their tank light on just as you go to feed them, they will learn to swim to the top at that time each evening and wait for the light to go on. When the light goes on, they will get excited since they know the food is coming. Fish are smart little creatures!